Digital Foundry’s analysis also states “crisp” portable gameplay. Digital Foundry’s analysis of The Legend of Zelda: Breath of the Wild on Nintendo’s Switch is available thanks to a recent showing at London and it offers some new information on the open world title’s performance. Along with improvements from the 2016 build running on Wii U, Breath of the Wild apparently runs at 900p when the console is docked and playing on your TV. Undocked and running on portable mode, the game runs at 720p resolution. Thankfully, the game maintains a solid 30 FPS whether docked or portable. Streaming issues and scenes with large amounts of alpha and post-processing can cause drops at times though. 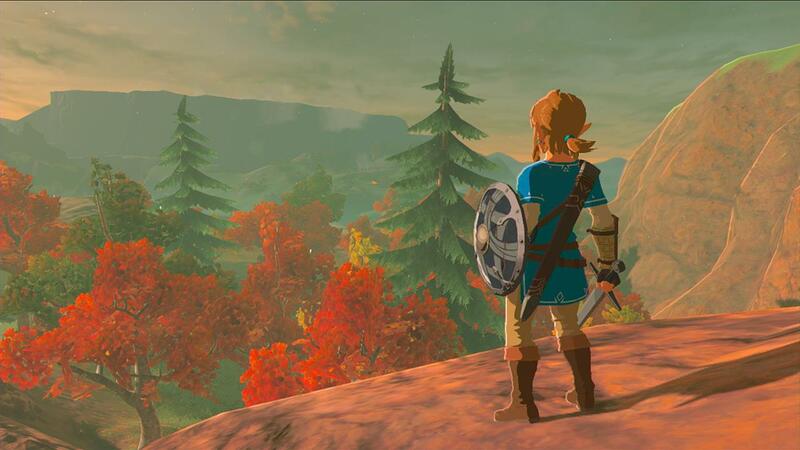 As a whole, the game is said to run “incredibly crisp” in portable mode, thus making it all the more appealing if you want to play Breath of the Wild on the go. The differences in texture work and performance from the Wii U version that we’ve been noticing lately provides further impetus if we’re being honest.